Philips “Light To Go.” When you need it now. Sometimes you don’t have the luxury of time to plan a project and wait for most manufacturer’s 6-8 week lead times. Circumstances can arise where you need a lighting fixture on the job site ASAP. Philips Lighting has risen to the occasion to bring a new lineup of products that can be on the job site and ready to be installed in 48 hours or less. The Philips “Light To Go” lineup of products enables you to select reliable great-looking products with the Philips quality you know will last, but won’t obliterate your budget. 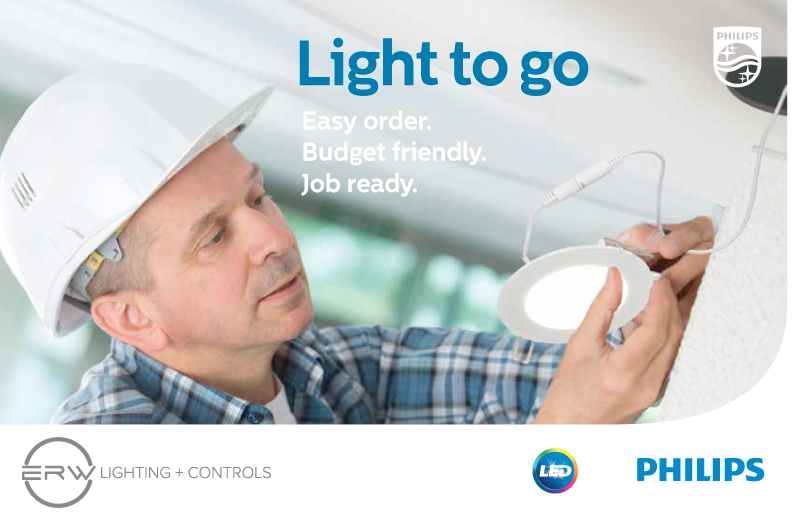 Whether you need a fixture for a commercial, residential or outdoor lighting project, Philips “Light To Go” can meet your expedited project needs. With such a large array of quick-ship items, Philips’ “Light To Go” program has made it possible to complete a fast turnaround job — on time, and on budget. Need help? ERW is your Seattle-area lighting specialist. Contact your ERW sales rep, email orders@erwlighting.com, or call 206-767-7722. We’re happy to help in any way.